Everything about this package is in great shape. The hull looks new and the interior has no signs of wear. The upholstery is in great condition as well. The owner states that all mechanical and operational systems function as intended. 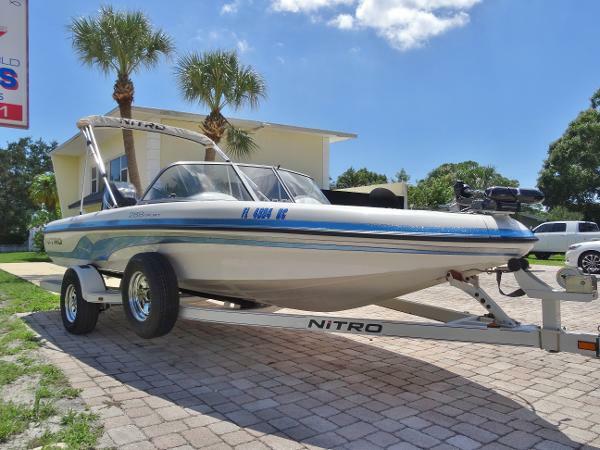 Do not miss this opportunity to own this great "Swiss Army Knife" of boats. It will meet you and your family's needs for years to come. 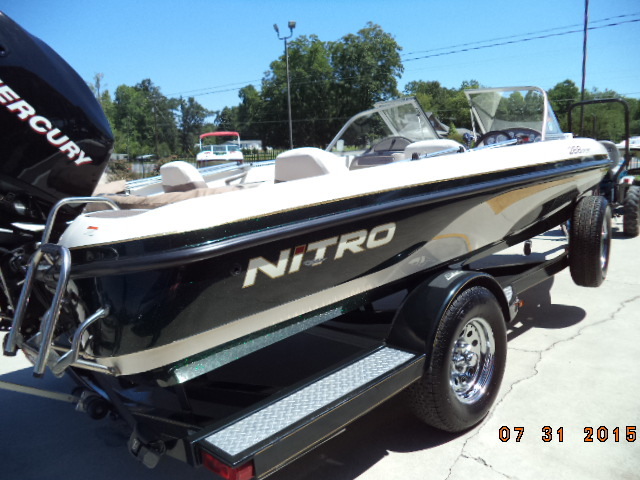 Stock #175198 2008 NITRO 288 SPORT!! ONLY 81 HOURS!! MERCURY 150 OPTIMAX!! MATCHING TRAILER!! LOTS OF EXTRAS!! 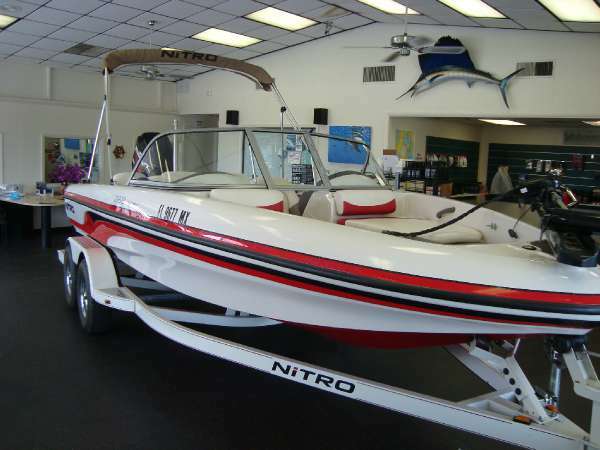 If you are in the market for a fish and ski, look no further than this 2008 Nitro 288 Sport, priced right at $21,750 (offers encouraged). 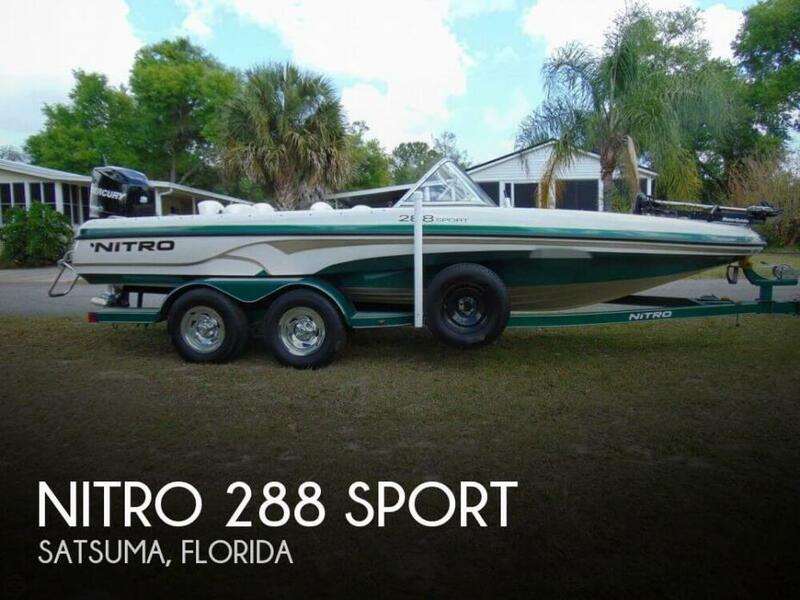 This boat is located in Satsuma, Florida and is in great condition. She is also equipped with a Mercury engine that has only 81 hours. Reason for selling is not using. 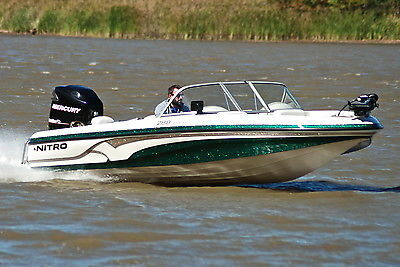 2002 Nitro 288 Sport 2002 21 ft Nitro Performance Fish and Ski, 200 Mercury, Tandem trailer w/ spare, Tires new last year. Chrome weels, Drive on trailer. Built in Battery charger. New 70lb trolling motor, New humingbird fish finder, New upholstry rear seats. Custom fit cover. 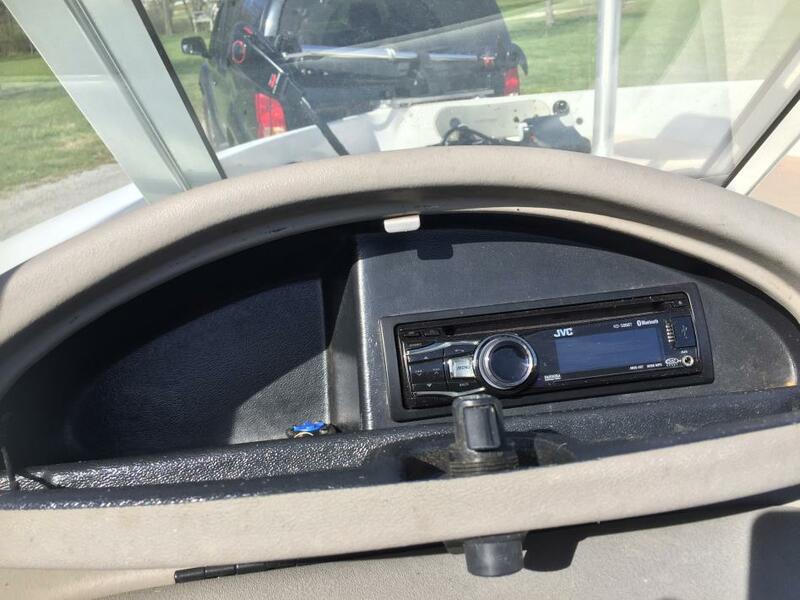 Bimini Top, Front and Rear Live wells, Sump pump, New Radio and Speakers AM/FM/CD. Ski pole, New front Casting seat and pole. Life jackets, paddle, all FWC safety, Horn, flares etc. I'm sure there's more! This a great boat! Never has it not run perfect. 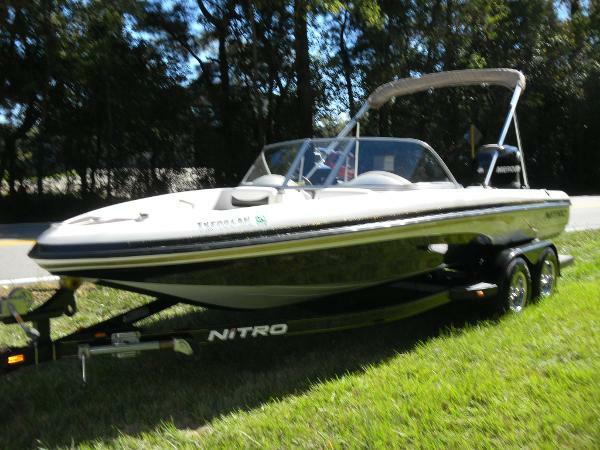 2003 Nitro 288 Sport 2003 Nitro 288 Sport Fish and Ski! Powered by Mercury 200 EFI. Motor Guide 60lb duel battery trolling motor with dual bank charger. Binini Top. Quick interchangeable from ski to fish. Ski pole included. Two side rod lockers with lower ski locker. Plenty of storage for jackets and misc. Two operating live wells 1 in front, 1 in back. Built in cooler. Stereo/XM/Mp3/Bluetooth w remote. Swing tongue trailer. 3 new tires. Not in dire straits to sell. No help selling needed. ONLY SERIOUS ENQUIRIES PLEASE! 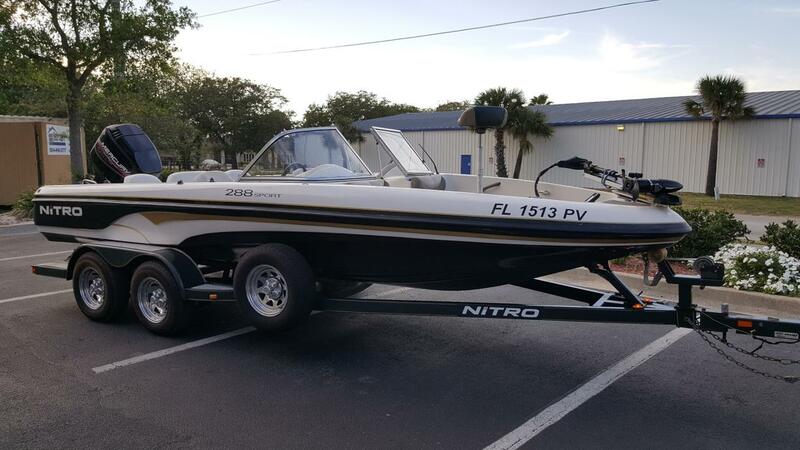 2004 Nitro 288 Sport This fabulous 2004 Nitro 288 Sport and ultra-reliable Mercury 150 OptiMax fuel-injected engine are lake ready! Featuring a MotorGuide 71lb 24V trolling motor, Lowrance depth sounder, bimini top, stainless steel prop, brand new upholstery and carpet throughout, stereo w/ 2 speakers and a swing-tongue custom trailer. It passed our rigorous on-the-water testing and 51-point mechanical resale inspection with flying colors. All Maintenance is up to manufacturer recommended specification and this boat shows very well. The class leader in fishing and skiing features, the NITRO 288 Sport has everything you could want and room for everyone you could want on board. 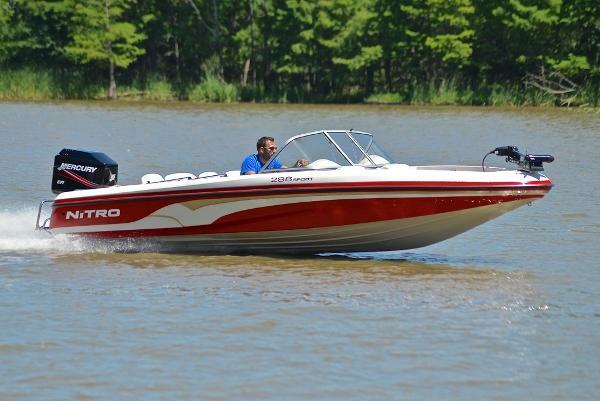 At 20 feet in length and a wide 96 inches, the 288 Sport is extremely roomy compared to other boats in its class. Whether you're entertaining, out for some family fun or just looking for a little quality time, space is never a problem. Features include a removable trolling motor, ski/kneeboard storage, competition-style ski pylon, front lounges with removable cushions, drink holders, CD stereo system, large rod storage, two full-sized aerated livewells, Bimini top, custom trailer... need we go on? Your flagship is now boarding. - Plus dealer prep, tt&l.